Winter can get pretty cold. One of the areas that are most affected are the hands. In addition to feeling numb, or freezing, you will also be unable to handle or touch things properly. And this will affect the way you do things as well as creating an inconvenience. Imagine trying to operate your Touchscreen phone, handling the steering wheel while driving, or holding delicate items? The best way to beat the cold and keep warm in this period is by wearing winter gloves. They come in a light but warm fabric, are smooth on the skin, easy to wear and remove, and also support good ventilation to prevent excessive sweating. Additionally, they look professional and will enhance your sense of fashion. In this review, we are going to quickly review the top 10 best winter gloves for women in 2019. 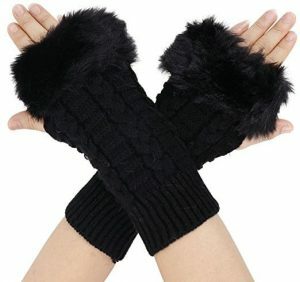 If you want to look trendy and fashionable but still stay warm this winter, then you need the GSG luxury winter gloves. Designed for different kinds of women, the fashionable gloves are easy to wear and remove and also very comfy. They are made from genuine Italian Nappa leather that is known for its strength and durability and features a rabbit fur trim to keep you warm. The Touchscreen enables you to effectively use any devices with a Touchscreen as well as drive conveniently. They feature an easy-to-adjust wrist strap and can be worn to work, cycling, when driving, and other places. Advantages of this pair include good comfort, very warm, easy to wear, and durable. The Mio Marino winter gloves can be utilized for many activities including skiing, cycling, and other outdoor activities. They allow you to experience much flexibility that feels light to wear. Ideally, the gloves are made of high-quality supple Nappa, soft and luxurious leather that is long lasting and will protect you from extreme cold weathers. 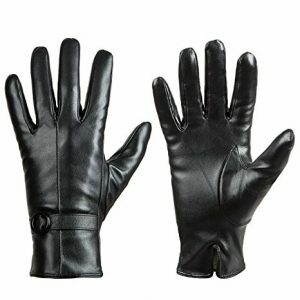 This Leather Glove features non-slip palm and rubber wrist that contribute elegant feel and awesome snug on your hands. Besides that, the rubber wrist features strong windproof feelings and effect on the skin. It’s ideal for cold weather travel, outdoor sports, driving and more. Come with 180 days warranty. Made from windproof materials, the GEREE gloves are suited for the cold season including winter. They can be worn when cycling, walking, jogging, hiking, running, driving, work and other situations. They feature antiskid silica particles for a firmer grip and come in an easy-to-adjust design. The sensitive fingertip makes operating a Touchscreen device whereas the back zipper provides the perfect fit. The highly absorbent and quick drying material keeps your hands dry. Some of the advantages are super light, very warm, and good breathability. Who said that driving while wearing gloves should be hard? Who says that you can’t operate a Touchscreen device effectively when wearing a pair of gloves? With this black winter gloves by Knolee, not only will your hands stay warm but will also handle things as if not wearing gloves. The gloves are made from acrylic (75%), blend (25%), and cotton (5%) and are revered for their warmth. Although relatively thick, they are easy to put on and won’t roll when removing. They come in a practical design for operating a touch screen device including a smartphone or tablet. The glove’s positives include a simple design, elegant, cozy, and suitability for different applications. As you can tell from the brand name these gloves are designed with simplicity in mind. Nonetheless, they still provide great warmth during the cold season. They are knitted from quality fabric and feature faux fur for extra warmth. For easy operation of Touchscreen devices such as iPad, smartphones, and tablets, they come in a fingerless design. This also helps to drive better and also improves wearability. The black pair includes a convenient thumb hole and is ideal for many areas. The main pros include good wearability, very practical, warm, comfortable, and good quality. FEIQIAOSH Gloves for Women are not only stylish and gorgeous but also well-made and functional. They are made with soft genuine sheepskin leather and 100 percent cashmere lined to keep you warm when walking on the street or driving a car during winter. Other than that, the groves have full hand touchscreen allowing you to play with your ATM, iPad, Phones etc. The groves will learn the shape of your hands after wearing it for several days and this makes it more comfortable and suitable. Furthermore, they look beautiful when wearing them thus suitable for motorcycle, driving and daily wears in winter and autumn seasons. 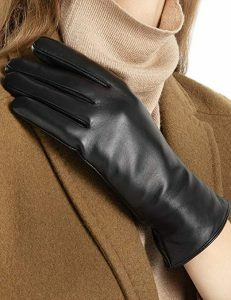 As a woman, you can still look fashionable even when wearing gloves during winter. 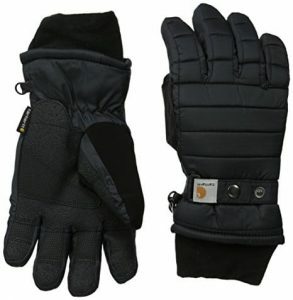 All you need is these pair of insulated gloves from Carhartt. The black glove is made from 100% polyester and is rated as one the top 10 best winter gloves for women in 2019. The flexible quilts glove easily fits different hands and also comes off without a struggle. 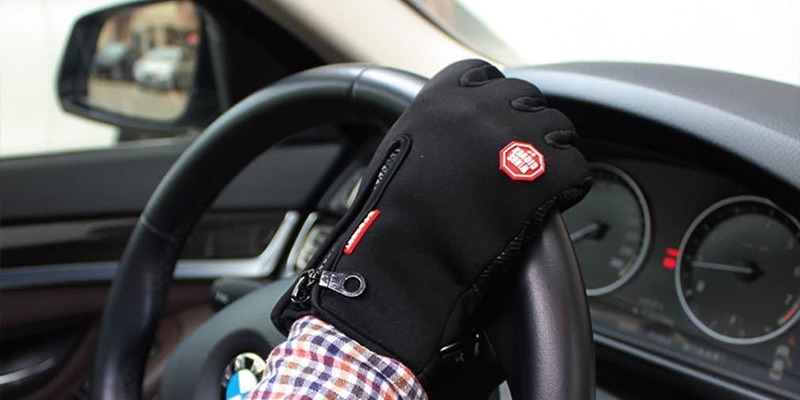 It has good insulation for keeping your hands warm but is very thin to improve the use of the phone, tablet, or driving. For improved sweat and moisture absorption as well as quick driving, the glove features a waterproof wicking insert. Notable merits include high-quality material, smooth lining, good stretching, and warm. Compromising of 100% pure lambskin, the Dsane winter gloves are not only sturdy but also durable. They are suitable for women and can be worn casually, for sports, driving, cycling, hiking, and jogging and in many other situations. They feature a lining made from 100% pure Italian cashmere that keeps your hands warm and doesn’t scratch or itch the skin. The soft PU leather together with the thin fabric makes texting or driving easier while the high-quality stitching prevents ripping or tearing. Positives of this item are luxurious and soft, high-quality workmanship, easy wearing, smooth and warm. Elma Classic winter gloves for Women are made of leather which is strong, light and comfortable keeping the cold at bay during the cold season. It features Super-warm conductive touchscreen letting you use your phone comfortably and the screens will respond to all activity whenever you are wearing the groves. The soft hair sheep leather interior guarantee moisture-free and softness experience even in wet weather. Ideally, this groves comes with different sizes and you can choose the one that will fit you well. Lined with 100 percent pure cashmere assuring you of adequate warmth during winter. They are easy to use even while texting, writing, driving or even holding other items. 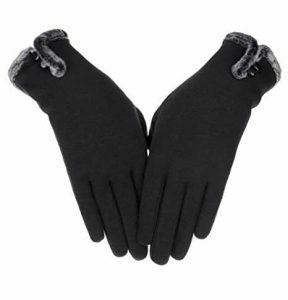 You can keep your hands warm and stylish during winter by wearing the Warmen Women’s gloves. 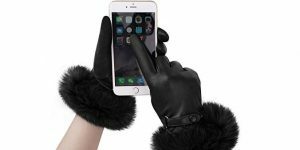 They are perfect for ladies who do not want to remove gloves when they want to use their phone as this grove features conductive touchscreen leather allowing the screen to respond perfectly. Other than that, the groves are made of fleece lining and cashmere lining giving you extra warmth when riding or working during cold winter. The groves are soft and comfortable and soft in your hands giving you a firm grip. Additionally, it comes with a range of sizes making them suitable for both adults and teens. They are easy to wear and durable. It’s true that the winter season can get really cold. In fact, many people will avoid going outdoors at all costs. I mean, who wants frozen or numb fingers? Who wishes to feel cold and have problems handling stuff? The good news is that you can still stay warm even in the low temperatures. What you need are the best winter gloves. 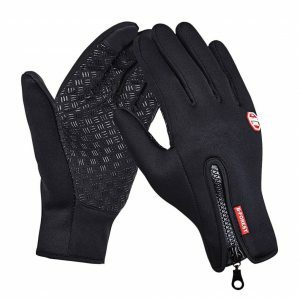 They are designed for such situations and will insulate your hands from the cold. They feature a relatively-thin material that still offers you a good hold on things and will also allow you to drive well and operate your Touchscreen phone or device. In this review, we have briefly looked at the top 10 best winter gloves for women in 2019. With any of these items, it would be easy to deal with the cold season.